Westgate Law > Blog > Bankruptcy Issues > What Are the Ramifications of US Credit Card Debt if You No Longer Live in the US? In a recent online discussion with a distressed woman, I was told the following story. A woman originally from Poland moved to the United States. She was married in the United States in 2009, but quickly realized she had entered into an abusive relationship and needed to get out and far away. Since she was from Poland, moving back seemed to be the most appropriate solution to the problem even though doing so would be very expensive. She used two credit cards obtained during her time in the United States to finance her trip back home. The travel expenses were massive and have left her drowning in debt without any way to pay the money back as she currently has no money. She is not planning on returning to the United States and wonders what sort of future consequences she could face by not paying the debt associated with the two accounts. The answer to this is difficult as there are some details of the situation that are still unknown, but we can do our best with the information we have. The first element of the equation that we do not know is whether or not the accounts were held jointly with the husband in the United States. If the accounts were joint, the creditors will seek payment from the husband, as the wife is unavailable. If the husband makes the payments, there would be no legal consequences as technically speaking both joint account holders are responsible for the debt associated with the joint account. If the husband does not make the payments on the debt, both parties to the joint account would see the negative affect on their credit reports that come with late payments, and eventual failure to repay a debt. The second major element is the credit reporting agencies. One of the biggest incentives Americans have for paying their bills on time is to keep their credit scores high as they impact so many different aspects of their financial life: mortgages, insurance rates, car loans, etc. As other countries have their own methods and systems of judging a borrower’s creditworthiness, it may seem that moving to a foreign country relieves most of the pressure to pay. A lender in a foreign country could technically request a copy of a U.S.-based credit report, but doing so is not common as it costs substantially more and the request has to go through a specialized bureau overseas. But it’s important to consider the possibility that a creditor from the United States could cause a headache for a debtor down the road (even if they move out of the country). First, if a lawsuit is filed on your debt before you move overseas, it would continue forward even in your absence. However, the court’s ability to enforce any judgments against you would be limited by prohibitive costs associated with action overseas. Creditors would be most likely to go after any “loose ends” left behind in the states. If employment is still through a U.S. based company, wage garnishment could be an option for creditors seeking payment on unpaid debt as well since the employer would be subject to U.S. laws. If a lawsuit has not been filed prior to the overseas move, they could bring suit in the foreign country’s court of law, but again, this gets very expensive and most debts don’t warrant this type of action. So what reasons does a person have to pay their creditors if they move out of the country? Firstly, borrowed money was meant to be repaid. It’s the right thing to do. Second, moving to a foreign country usually means building your credit from scratch within the bounds of the foreign country’s system. It could be extremely helpful to be able to access United States based credit cards while building up credit in the new country of residence. And third, even if there is no intention to ever return to the United States, there is always the possibility that plans could change. If credit went unpaid and ignored, returning to the states would come with a lot of difficulty that could easily have been avoided. 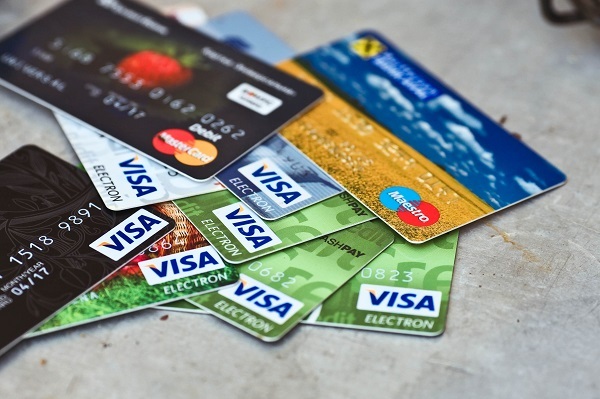 If you have any other questions about credit card debt, how to manage overwhelming credit card debt or obtaining a discharge of credit card debt through bankruptcy, please get in touch with one of the experienced southern California bankruptcy attorneys at Westgate Law.